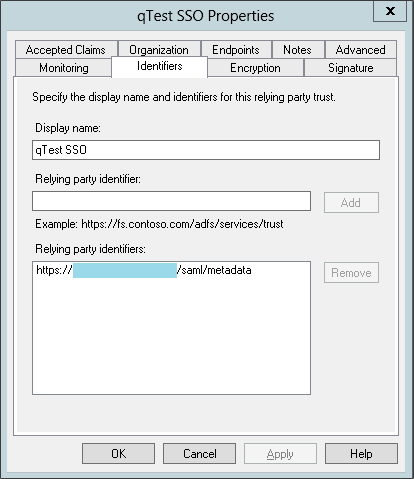 This article will walk you through setting up an SSO integration with ADFS. The Web SSO lifetime should not be greater than 480 minutes. 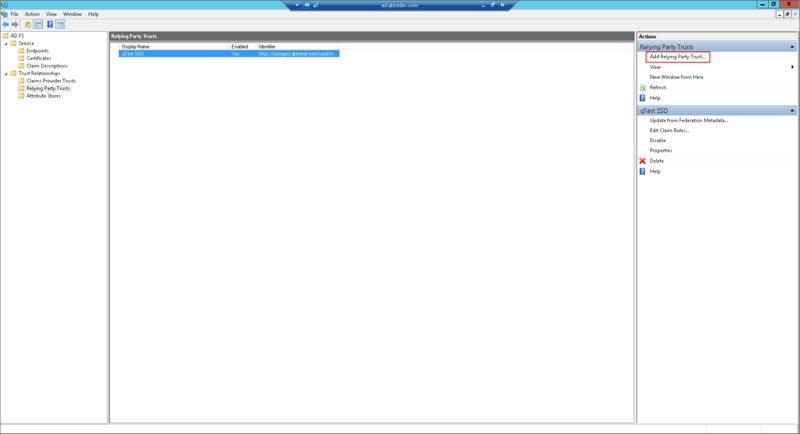 In the left pane, click Add Relying Party Trust. On the Welcome page of Add Relying Party Trust Wizard, click the Start button. At the Select Data Source step, select the option Import data about the relying party published online or on a local network and enter this URL: https://[your qTest URL]/saml/metadata. At the Specify Display Name step, enter any name for the Relying Party (e.g., qTest SSO). Proceed to the last step to complete adding a Relying Party Trust. After it has been created successfully, right click and select Properties to edit. In the Identifiers tab of the Properties dialog, view the identier URL (https://[qTest URL]/saml/metadata). 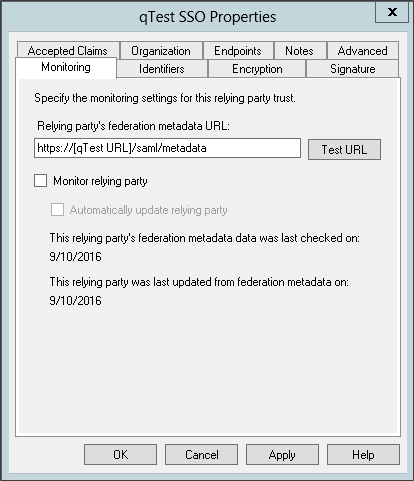 In the Monitoring tab of the Properties dialog, edit the federation metadata URL and ensure it is the same as the identifier URL (https://[qTest URL]/saml/metadata). Click the Apply button and close the dialog box. Right click and select Edit Claim Rules. 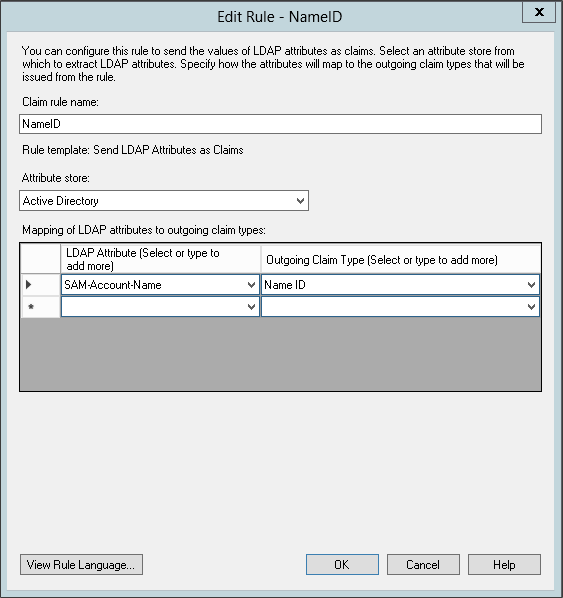 Add a claim rule as described below. 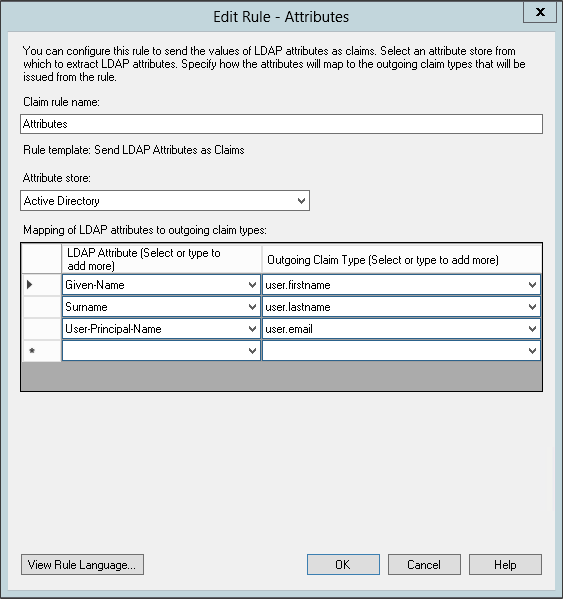 Map the LDAP attribute with qTest field as in the image shown below. Map these qTest Manager fields: user.firstname, user.lastname, and user.email with any suitable LDAP attributes.